some informations just leaked at PES facebook page about the system requirement to play the next Pro Evolution Soccer 2011. I have graphic card of ATI Radeon HD 5470. 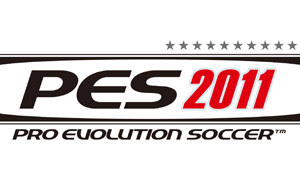 Please let me it would sufficient to run Pro evolution soccer 11 or not..
does it support PES 2011? wii my vostro 1015 with mobile intel gmd 4500 be able to play pes 2011?? I have a radeon 4850 and it doesnt seem to work? Do you know if its not compatible? I tried everything... finally i found a way to get it to work... i used the pesedit patch with the kitserver and it now works. Hi i have dell vostro 1015, can i play pes 2012...? my asus k43u with amd e-450 1.65MHz cant play? HD6310m? moi j'ai un pc fix 1gb RAM 2.50ghz vista pentium 4 dual core can i play pes 2011 ? c koi votre carte graphique ?